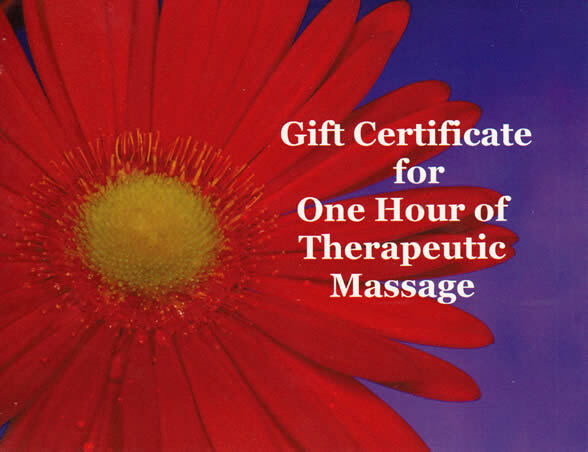 Gift Certificate for One hour therapeutic massage is $80.00 plus travel. 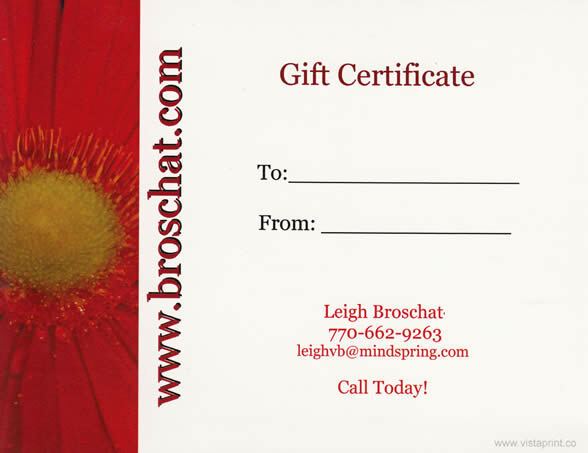 Gift Certificate for One hour and a half is $105.00 plus travel. to be mailed to your special someone today!